"It's like sitting on a cloud!" 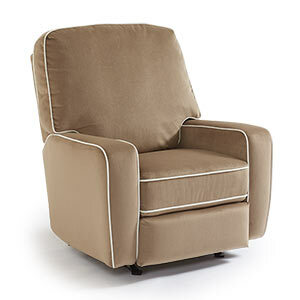 The Bilana Swivel Glide Recliner is Hello Baby's most loved chair from Best Chairs! With the tall back for dad and the comfy, relaxing swiveling more mommy and baby, this chair is sure to rock your little one right to sleep!